From homemade breakfast pastries to our multi-coursed dinners, we are committed to excellence and exemplary service. 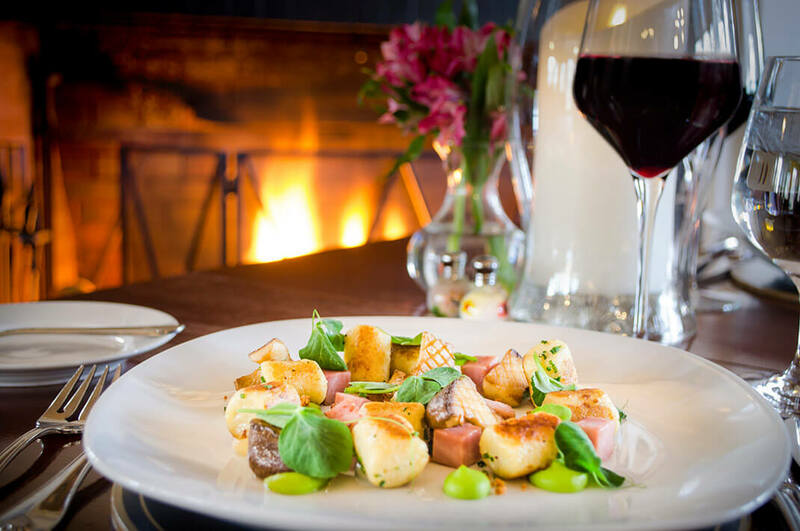 The culinary team of the Redbook Restaurant, located in the historic manor house, work tirelessly to source and use the freshest seasonal ingredients in the creation of every dish. 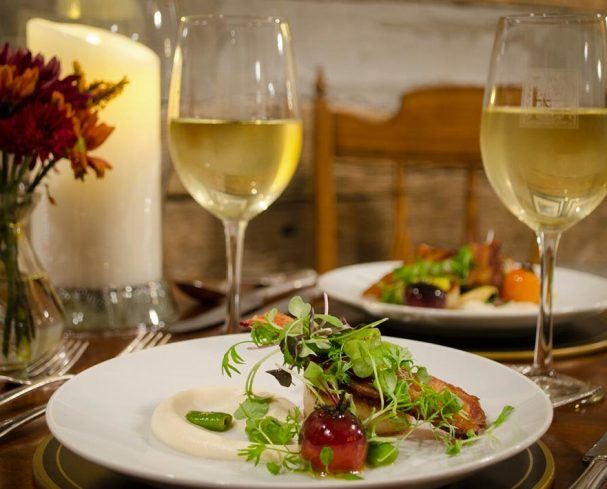 During your stay in our historic West Virginia bed and breakfast, indulge in a romantic gourmet dinner at our elegant Redbook Restaurant for a meal that’s both exquisite to the palate and memorable to the heart. Our Charles Town WV restaurant experience showcases the artistry and skill of our culinary team. 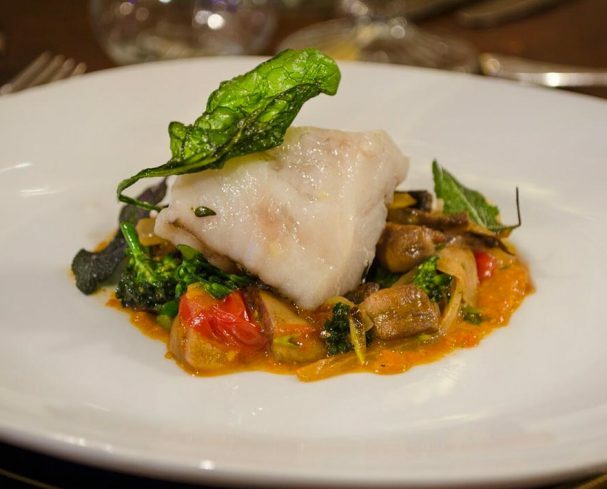 For more than 20 years, our chefs have taken pride in creating prix fixe menus using local and seasonal ingredients when available. Dress Code: Business casual, polished-yet-comfortable. We want guests to feel at ease and enjoy the dining atmosphere. Prices do not include taxes, gratuities or beverages. No al a carte options available. Included in your night’s stay! 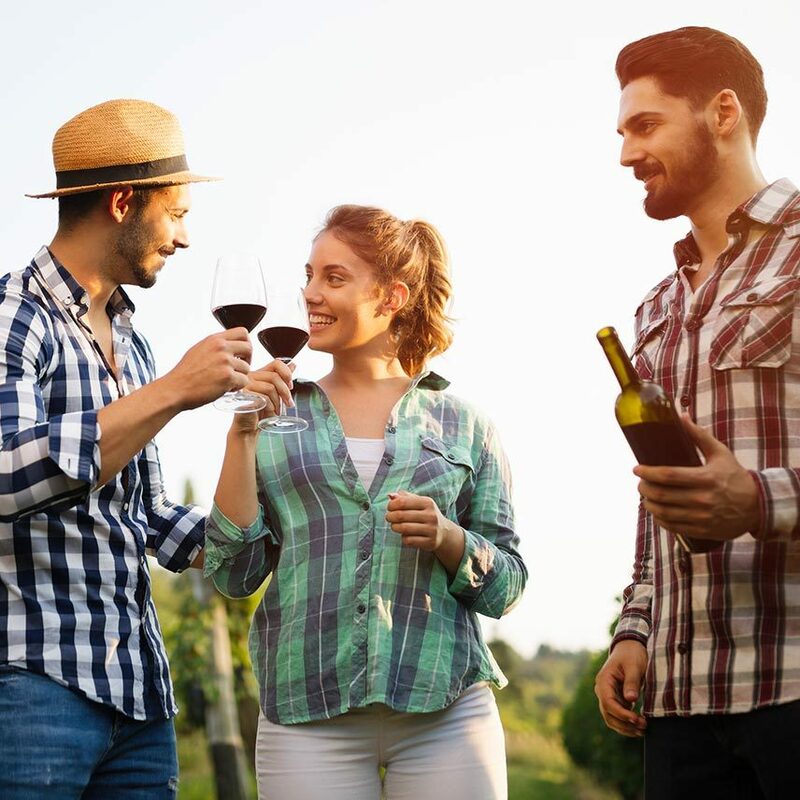 8:30 a.m or 9:45 a.m.
Take a tour of northern Virginia wineries and you will also receive a 10% discount on our premium wine pairing with your meal. Our beautifully appointed dining rooms at our West Virginia’s bed and breakfast are located in the historic manor house. To accommodate all of our guests and ensure a quality experience, we kindly request that dinner reservations be made 24 hours in advance. 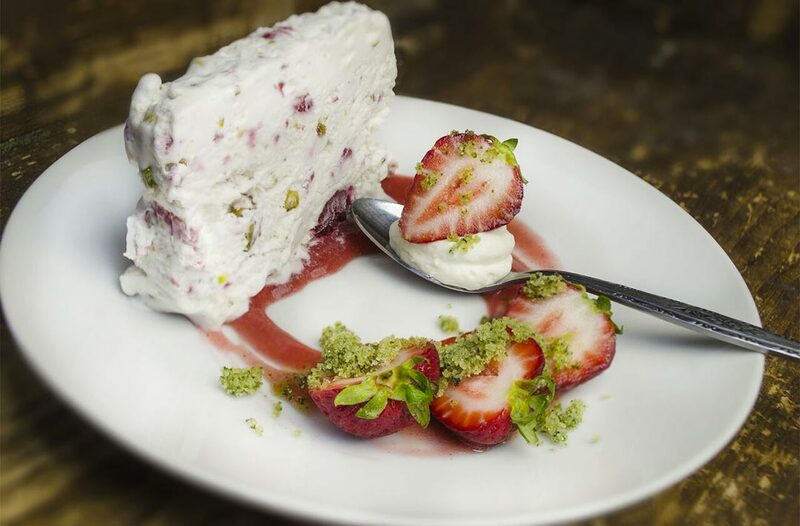 Our menus are influenced by market availability and product freshness. Allergies and dietary restrictions can be accommodated with 24-hour advance notice. All prices displayed do not include taxes, gratuities or beverages. Reservations required. Prix Fixe dining. Call 1.800.304.4223 for reservations or Request Online. 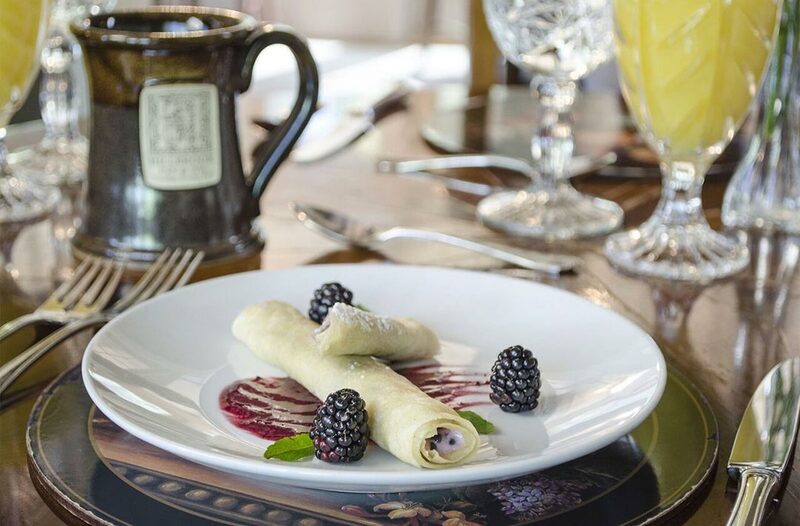 Included with your room stay is a rejuvenating gourmet breakfast! We consider serving you a pleasure. This is nowhere more evident than each morning at breakfast. 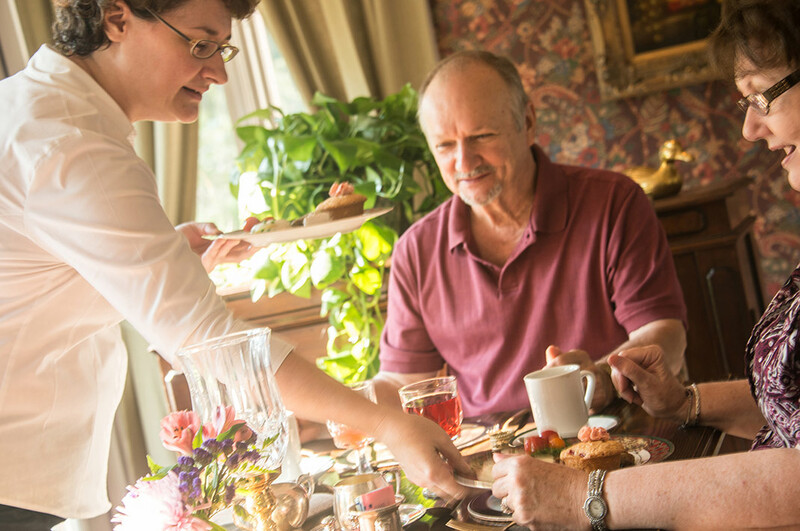 The heart of our Charles Town, WV Inn is our beautiful breakfast service. Relax in our charming sun porch or dining room over freshly brewed coffee and juice accompanied by baked goods or fruit prepared especially for you in our kitchen. Each morning we seek to provide a creative and delicious start to your day. 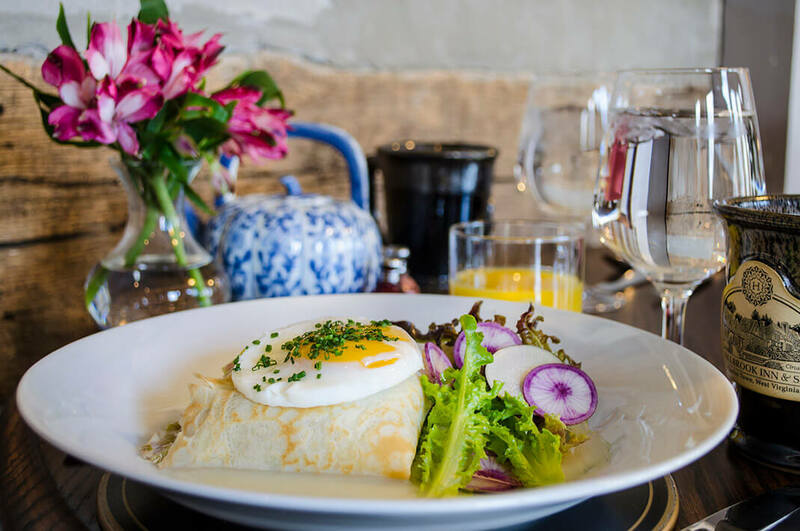 From classic Eggs Benedict to decadent soufflés and frittatas each menu displays skill and sumptuous fare. 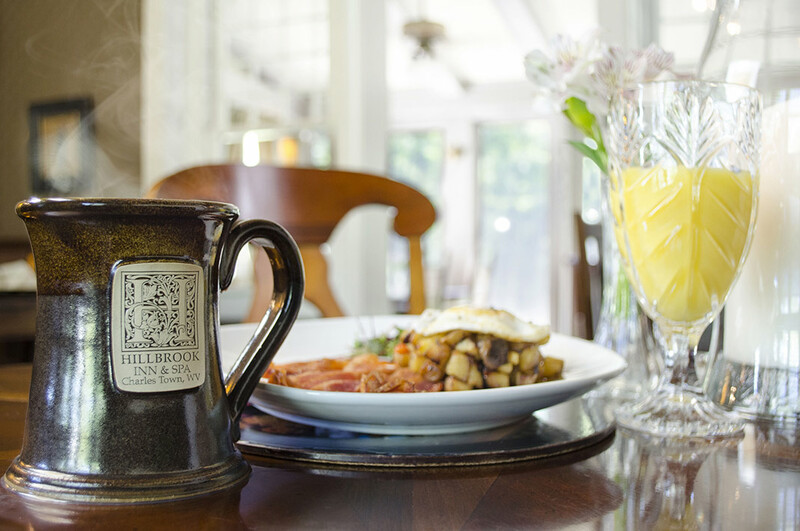 TRADITIONAL SIT DOWN: A chef’s choice prix fixe breakfast is served daily at either 8:30am and 9:45am in the Main House overlooking Hillbrook’s magnificent grounds. Seating is by reservation only on a first come, first served basis. 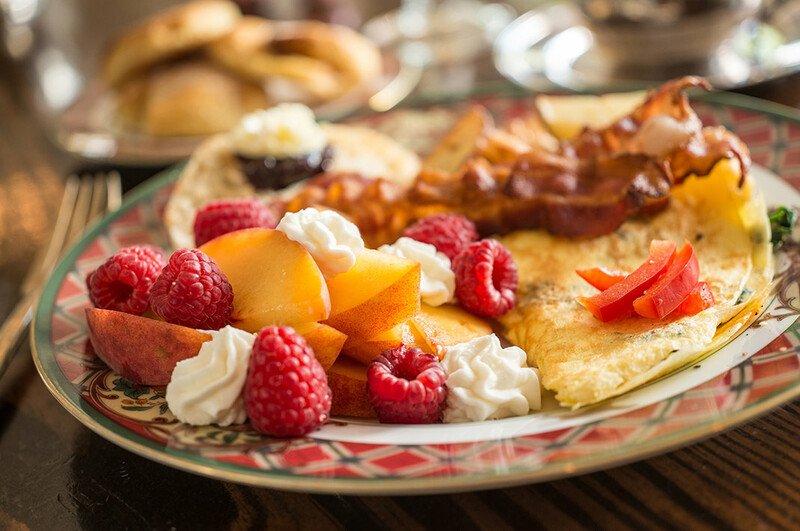 CONTINENTAL BREAKFAST: A continental breakfast is available if you prefer to dine in the comfort of your suite at the Hillbrook Estate, or at our Farmhouse or Hawthorn companion properties. 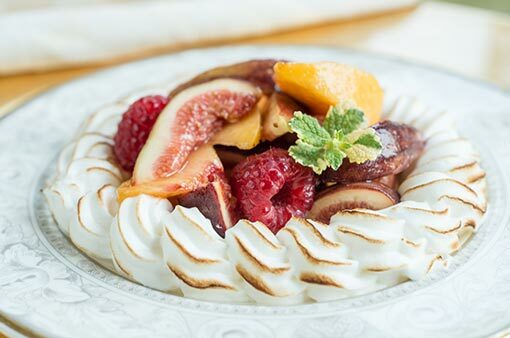 We will provide our chef’s choice continental menu with complimentary fruit juice, tea and coffee available with the Keurig™ Coffee System located in our guest suites and common areas. Please advise a Hillbrook Inn Guest Services Representative prior to your arrival if you prefer this option. 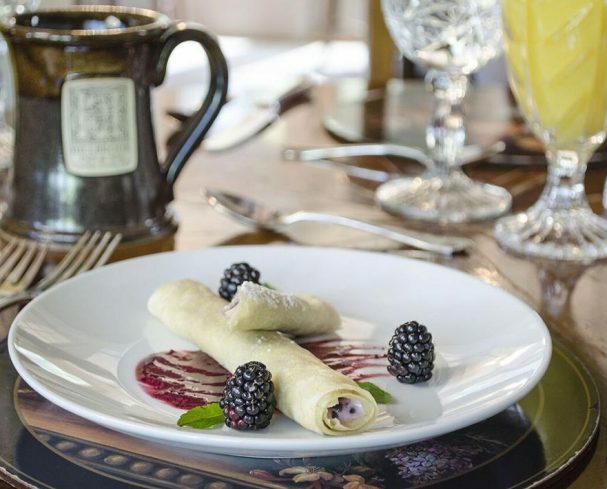 We can provide parties or groups with in-house preparation of breakfast* or evening hors d’oeuvres** when the entire Farmhouse and/or Hawthorn property is booked exclusively by one party. Concierge Service Breakfast will be priced at $15 per person plus tax, gratuity and a $40 set-up fee. Concierge Service Hors D’Oeuvres will be priced a la carte. Please note: Due to liability, guests may not utilize the house kitchens for personal use. 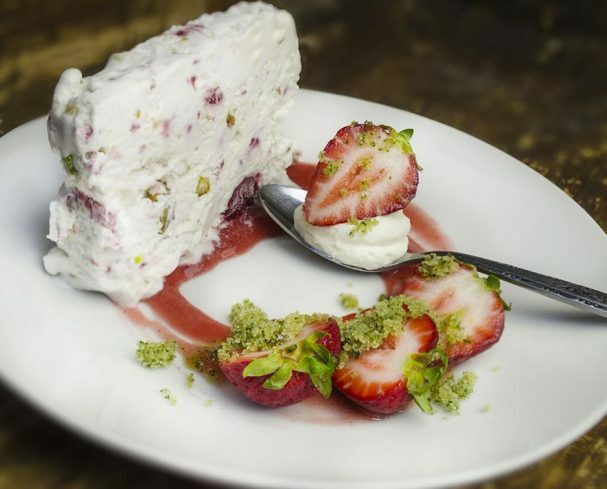 *Our menus reflect seasonal ingredients and are subject to availability. Therefore, please understand there can be changes due to product availability. 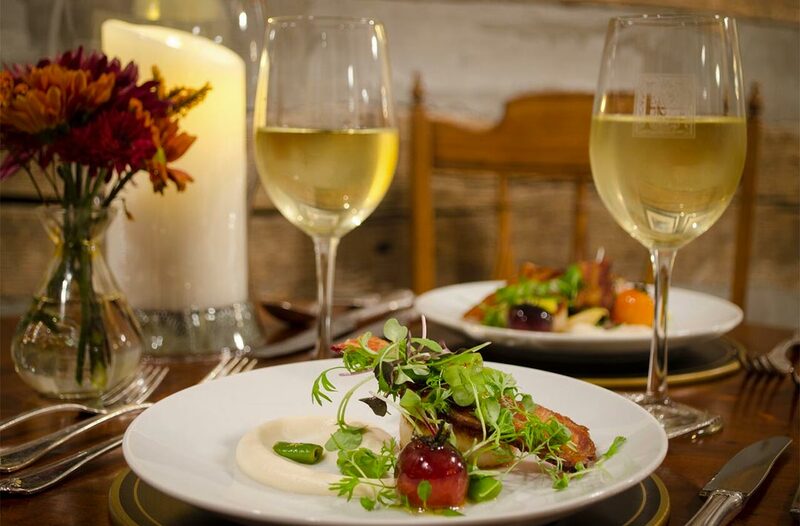 We hope you enjoy the culinary experience created especially for you! 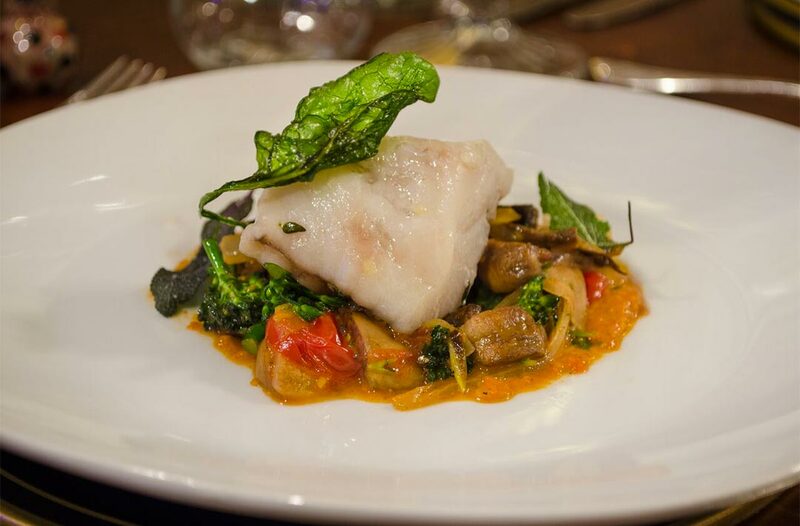 The Art of Cooking at Hillbrook Inn! Culinary/cooking classes at our West Virginia resort are the perfect way to enhance your visit. In each class, you will partake in hands-on preparation while learning from one of our expert chefs. We also provide you with recipes and the chance to enjoy your culinary creations. Classes are held in kitchen at the Hawthorn Estate. Want to know what Gourmet Chefs are using to cook your food? This is your opportunity to learn about this new cooking technique that is being used in the culinary world and introduced to our homes. This method is known in the industry to improve reliability and food quality. Sous vide involves slow cooking vacuum-sealed food at a constant, low temperature, locking in flavors for a delicious and healthy meal. 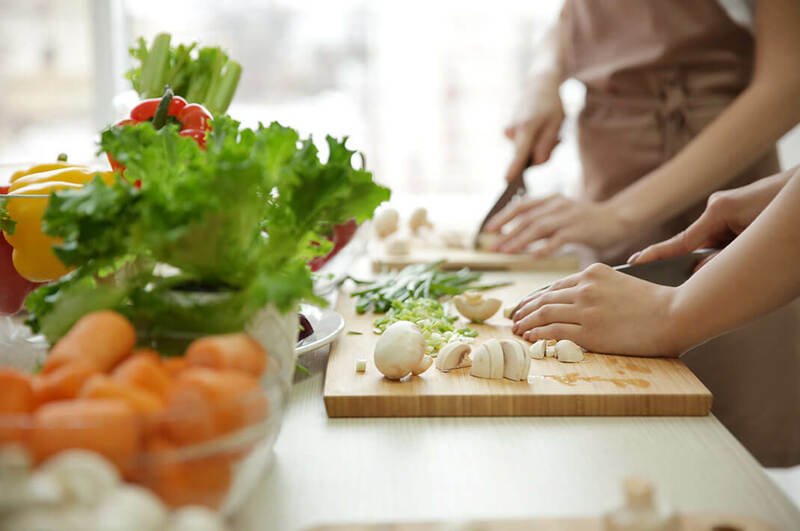 Join us in learning to cook like the professionals! Few dishes are more satisfying than your own handmade pasta. 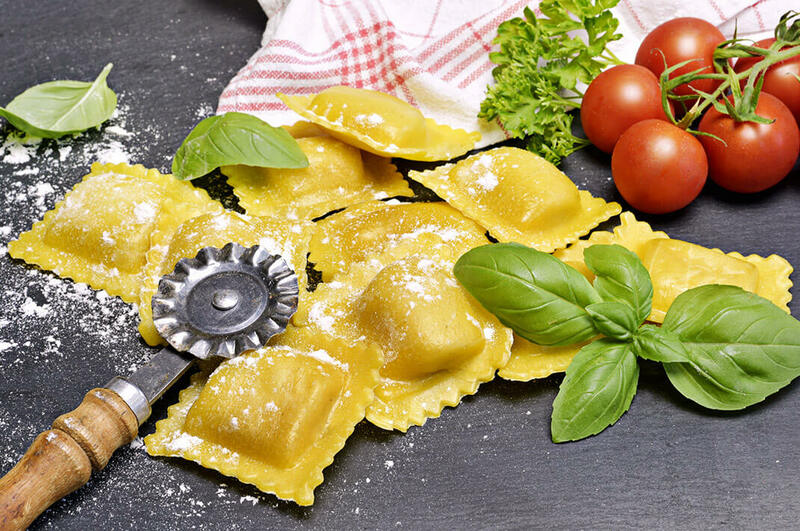 You will learn to make dough for a noodle type pasta and ravioli, along with an accompanying sauce. 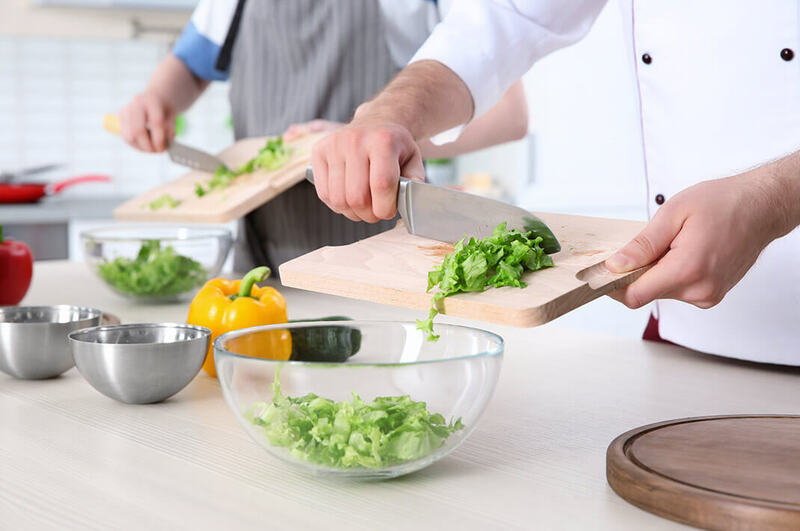 Whether you’re a kitchen beginner, food enthusiast, or experienced cook, we can tailor your class experience to learn new skills and have fun in the process. 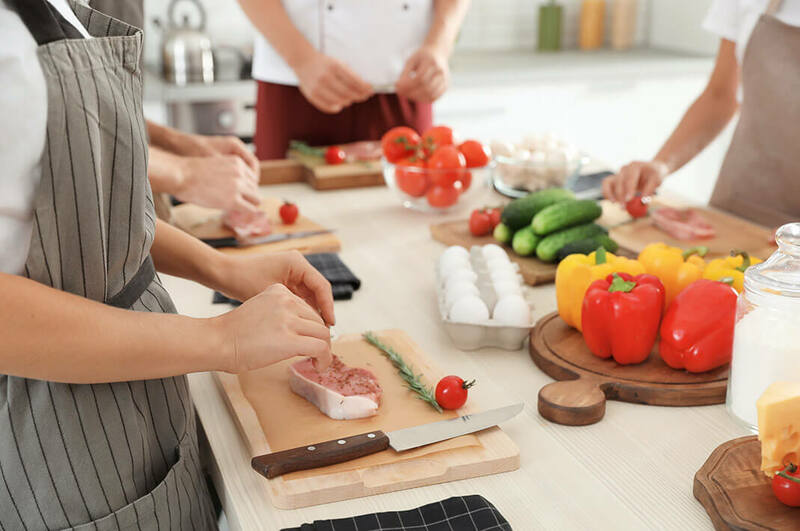 Individuals, couples, or private groups will have the chef all to themselves to learn new skills, try new ingredients, or hone in on specific techniques.